My textile practice has been evolving in the background of my life over decades! 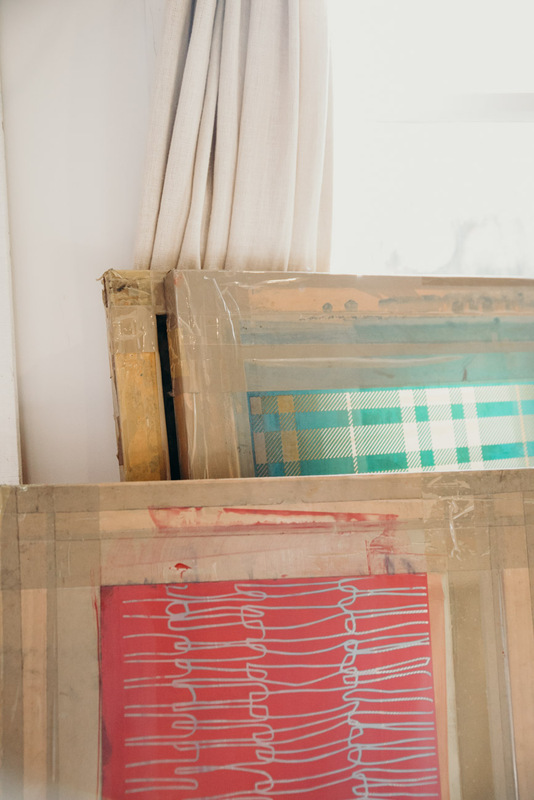 I have always been printing in one way or another, starting out in my Dad’s garage as a teenager, raiding his screen printing supplies to paint and splatter onto my Opp-shop finds (argh, it was the 80’s). 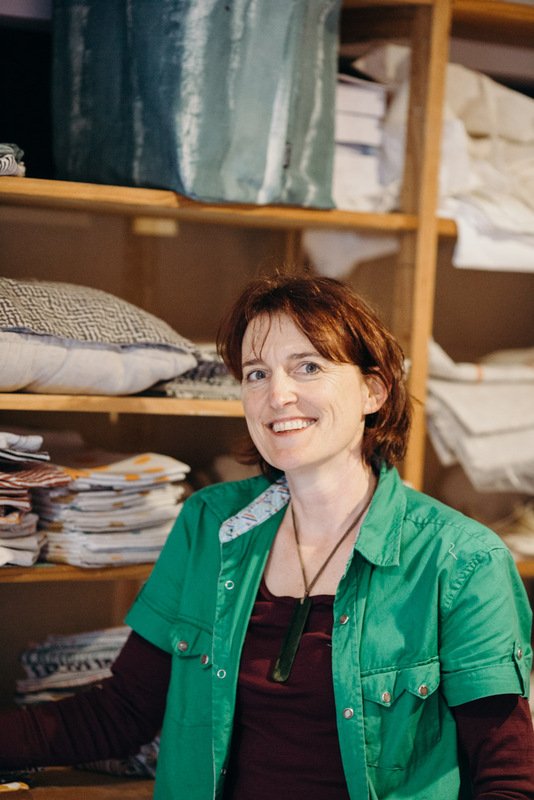 I have always had a space in a garage, basement, studio or in old sheds, and have done this alongside working in the textile and design industries and more recently, while growing a family. Textiles have always been more than just a hobby, it was an area I chose to study in, both here in N.Z. and the U.K. I graduated with an M.A in Textile Art from Goldsmiths University of London, in 1995, and prior to this I studied textiles at Otago Polytechnic in Dunedin which was an excellent foundation. The timing felt right to give it my all a few years ago when my youngest started primary school, and I have been developing my craft and slowly growing the Smitten brand. Oh, this is a huge question! I had that ah-ha moment while I was studying at Otago Polytechnic and something just clicked with me and textiles. It just felt so right. I learnt to weave, dye, print, and paint textiles using mostly Procion dyes at that time. It was a very disciplined foundation course which I’m hugely grateful for. Studying textile art in the U.K at Goldsmiths University, really pushed my work conceptually and academically. I was doing more installation-based work and photography back then. (mid 90’s). 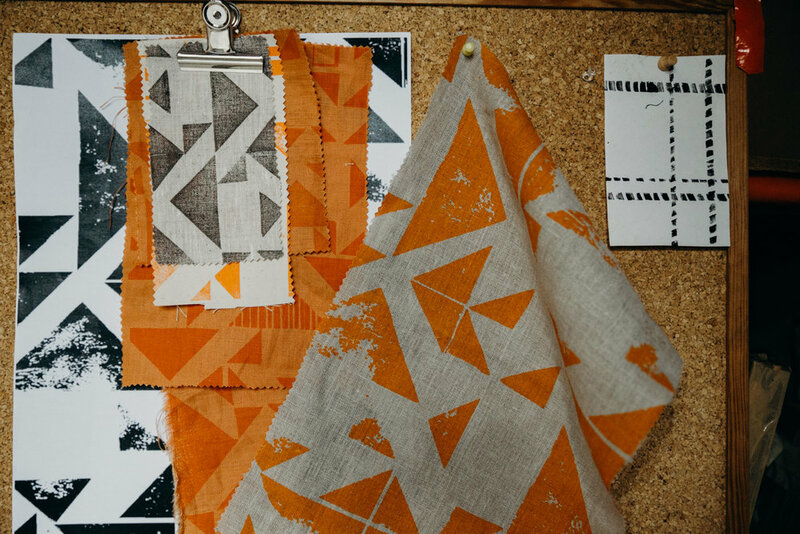 I love the idea that textiles can traverse the worlds of commercial design, art, and craft design. I think I can say now, that I have worked across all these areas throughout my life. I used to print samples for a textile agent in London. Now, I’m still trying to figure out where I fit in with my textile practice. I want to keep my work personal and a reflection of who I am and what surrounds me. 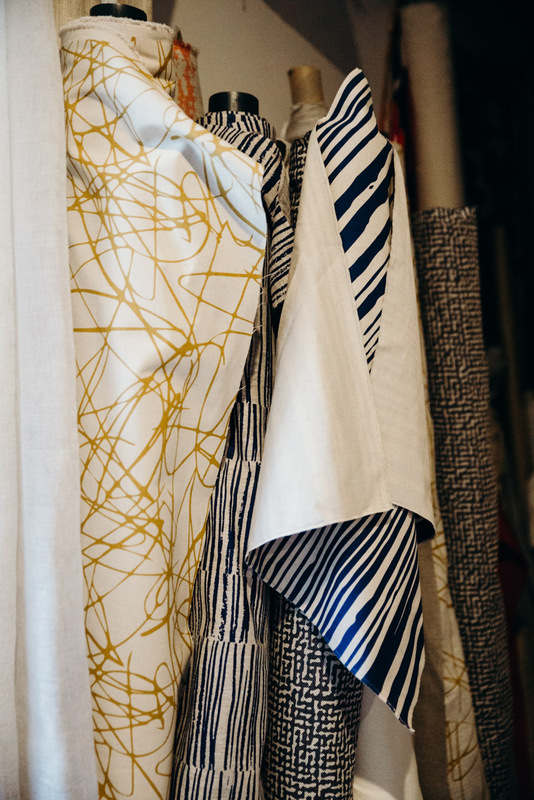 I have been developing a range of products to sell at markets and on-line, also I am producing my own line of fabric designs for the interiors market, so it needs to be contemporary and streamlined, without losing site of the intimate making process. Hard! There is also the textile artist in me begging to come out! And I do love to collaborate and I have a few design projects on the go. It is so important for creative nourishment, both to connect with like-minded souls, and also to be open to new possibilities. I love Titirangi and it has been my home for the last 14 years. What I really find special about living out west is the fantastic community here, and living so close to the village is a real bonus. Our house backs onto a large area of bush, so I can sit and work and watch the Tui’s and Kereru visiting. Working from home has its advantages, I like to get up before the family is awake, when the house is peaceful and start working, and can balance my time around my children. I’m a regular at the Titirangi market, which has a great community vibe to it. We are so lucky to live seconds away from the magic that is the Waitakere ranges. Titirangi truly is the fringe of heaven. Me and my humble little set up. (I have big dreams so watch this space!) I’ll have hand-printed Linen and homeware, samples, seconds. My works in progress, cushions, lampshades, fabric drops. Hopefully some textile art works! Hmmmm, not much is secret these days! And we have the Rahui in the Waitakeres, which I fully support. 1. Cornwallis beach, 10 minute drive from my house – I love a crisp late afternoon / early evening walk with my girls, when the tide is calm and full to brimming, and there is a beautiful sunset. So peaceful. 2. I have a morning walk ritual, and Kopiko and Kohu Road are the best. Also the Watercare station off Konni Road, a nice concrete platform where I attempt a few press ups and cartwheels (ok not really the cartwheels bit). There is a track that takes you up to Scenic Drive. 3. The vibrantly green glowing slimy mossy rocks, at low tide, Titrangi beach. A nice early evening walk before dinner. Very muddy! 4. Kaitarakihi Bay, which is between Cornwallis and Huia. The swimming is best here. And the Huia food store is 5 mins away! 5. Anawhata beach. I don’t go often enough. I love it, as it’s so rugged, so remote, so beautiful.